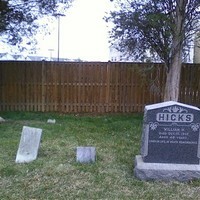 The Hicks Family Cemetery, in Arlington County, Virginia, as located between North 22nd Street and Lee Jackson Memorial Highway (Route 29), immediately west of Glebe Road. 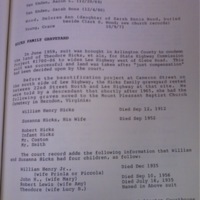 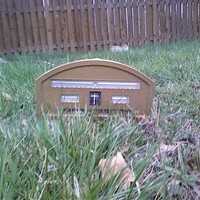 At some point between June 1959 and "shortly after" 1965, the cemetery's contents (six gravestones) were relocated to Mount Pleasant Baptist Church in Herndon, Virginia (Fairfax Survey Number FX1284). 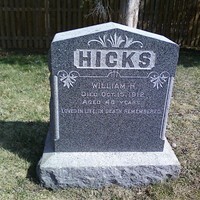 Of these gravestones, the only one totally identifiable is that of William H. Hicks, the father of Theodore Hicks, who owned the property when it was destroyed. 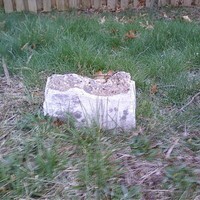 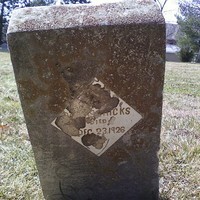 A destroyed headstone in the vicinity of the William H. Hicks marker at the Mount Pleasant Baptist Church Cemetery, potentially from the Hicks Cemetery. 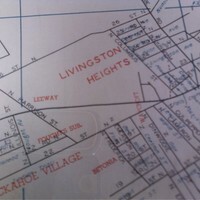 An airline map of streets in Arlington and Alexandria, including the street layout of where the Hicks cemetery would have been located. 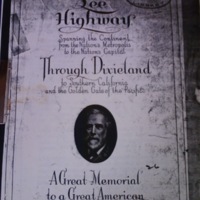 The cemetery would have been to the north of 22nd Street North, to the west of the intersection with Lee Highway. 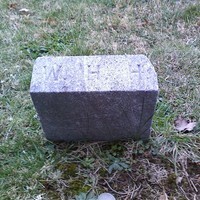 A satellite view of the current location of the Hicks gravestones at Mount Pleasant Baptist Church in Herndon, Virginia (the area surrounding William H. Hicks' gravestone is circled).